Hong Kong GC is one of the few courses on Tour that allows the nudgers to compete with the bombers on an even playing field. Challenge Tour graduate Aaron Rai is one of, if not the most accurate driver in this week's field and should be licking his lips at this week's test. The young Englishman has made great strides recently; judging by some his exploits this year, lack of course experience should not be a worry. Thongchai Jaidee is on a miserable run of form and he's missed his last four cuts. 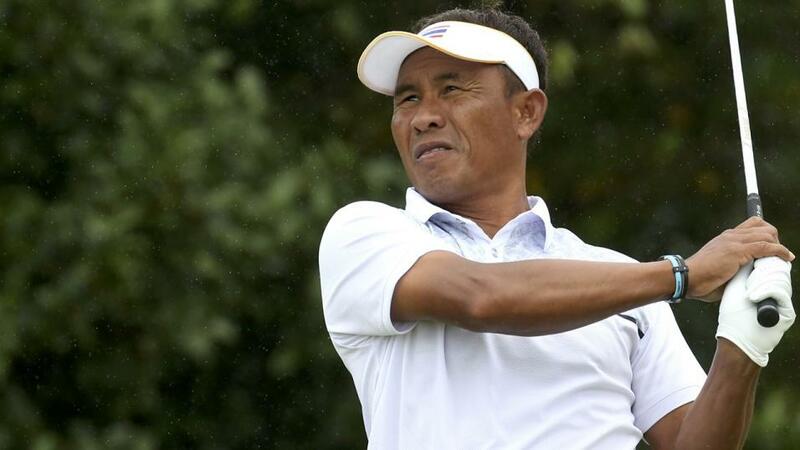 That's clearly a negative but he has a cracking record at Fanling and prior to those four weekends off, the veteran Thai finished inside the top-ten at the European Masters - an event that correlates very well with this one. Jaidee has finished inside the top-20 in each of the last 10 renewals of the UBS Hong Kong Open and he hasn't always been in tip-top form coming in to the event so with seven places up for grabs, he's a sporting price at 80/1 at a venue he clearly loves. I'm quite excited by Marcus Fraser's chances this week as he ticks a lot of boxes going into an event he clearly enjoys playing. The 39-year-old Aussie finished fifth at the Italia Open just two starts ago, so we have no concerns about his current form, and his record in Asia is superb too with two of his three European Tour victories coming on Asian soil as well as recording a plethora of second and third place finishes in this part of the world. His record at Fanling isn't too shabby either - he's made the cut in all of his last seven visits, finished inside the top 11 on five occasions, and has two top-five finishes to his name. And among his career-best performances are very high finishes at the BMW PGA Championship and Omega European Masters, played at venues that correlate exceptional well with the Fanling layout. It's an obvious pick from me this week but I genuinely think the 55/1 on David Lipsky is a few ticks too long. As most European Tour watchers know, the American (who has a Korean mother) is a force when playing in Asia, finishing fifth in this event last time out and runner-up in Malaysia a couple of months later. Like most of the field at the top of the betting he has been playing plenty of golf recently but unlike two of the favourites, Justin Rose and Tommy Fleetwood, he hasn't been battling for the Race to Dubai crown. Lipsky's best results have come on short, tricky tracks - a winner at the Omega European Masters being the most notable achievement. Lipsky was 12th on debut at Fanling so that fifth in 2016 wasn't a one-off. A third round 64 at the DP World Tour Championship last week perhaps hints at Lipsky having a bit left in the tank. I certainly hope so!